Perth trio, Diode, have been quietly going about their business for more years than many can recall playing the most underground of gigs and arts events. They are the type of band that you would expect to find playing in a musty venue in a Wim Wenders film while poets and punks drink to excess. Latest release, Second Circle, feels like it is from another era as it pulls on the flavours of New York past. Mini Bar has a propulsive rhythm section backing the shared vocals of Jenny Griffiths and bass playing local music stalwart, Rosie Rooney. Heavenly White chugs along with fuzzed out guitars as if someone crossed Siouxsie And The Banshees with the Jesus & Mary Chain to be both dark and enthralling. Griffiths’ voice has grown in stature and now has some glitter to add to its grit particularly on Jupiter as the band explore the atmospheric ground of the likes of Galaxie 500. Most songs clock in at just over two minutes as Diode embark on their most concise phase yet. The results speak for themselves. 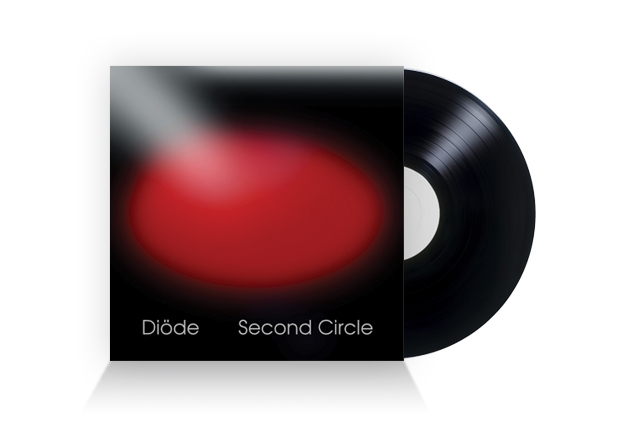 There is a DIY ethos to the majority of Second Circle and yet it is the most accomplished effort from Diode to date. Second Circle is evidence of a band that has grown into itself and is blossoming without compromising on their art house roots.